Great copywriting comes down to one thing. There are hundreds of philosophies, theories, and formulas outlining the keys to writing that unlocks consumers pocketbooks. Hey, I write about a lot of them myself. But today let’s scrape away all of those checklists and boil it down to the core. The one thing that makes for great copywriting. It’s related to the thing that makes any writing good: It makes you feel something. Charlotte’s Web makes you feel the unfairness of life and makes you root for the underdog. Any great novel makes you feel everything the protagonist is experiencing, as if it were happening to you. The same goes for a great memoir, poem, anthem, movie script, or ad. Think about the Subaru commercials that play on the values of multi-generational families...the simple feelings of love, caring, and security. Or the Lincoln commercials that play on feelings of pride, accomplishment, and a sort of suave leisure. Copywriting is its own beast of course, and when you write copy, you have different objectives than an author writing to entertain, or a poet seeking to inspire. So you evoke different feelings, to achieve different results. 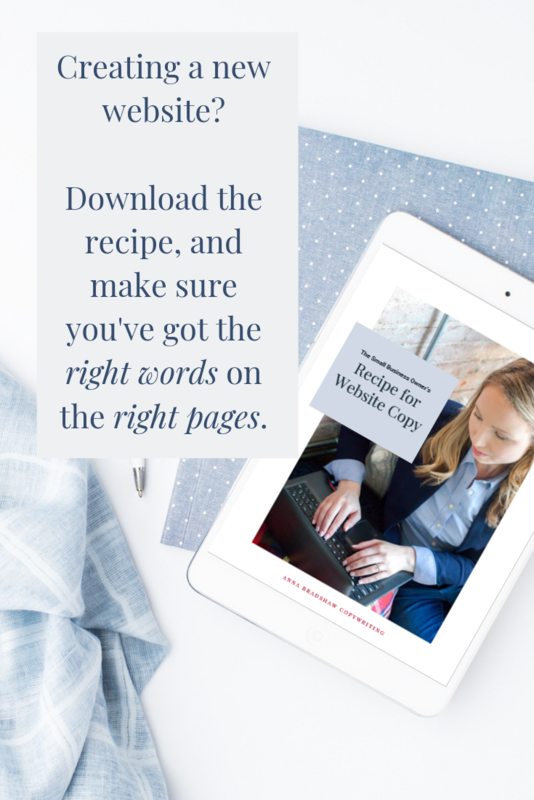 Copywriting is meant to achieve action - maybe the action of reading further, or downloading a freebie - but ultimately, always, the action of buying something. Truly transformative copywriting isn’t based on your agenda. It isn’t focused on elevating your brand. It’s not even about explaining the awesome features of the product your selling. It is 100% about your reader. Every sentence, every subject line, every headline, and every product description is all about your reader. When you write, you’re not just bursting onto the scene and announcing a new idea. Instead, you’re joining something that’s already in progress: the conversation in your reader’s head. Their goals, fears, frustrations, and hopes. Master copywriters have this down pat. When you read their emails and sales pages, you can’t help but nod along… “yes, I’ve been thinking that, too!” Expert copywriters meet you where you are, and then take you on a journey - through all the obstacles you toss up - to ultimately unveil the exact solution (product/service) you realize you’ve been searching for all along. And you’ll need a healthy does of empathy to write effective copy. Let’s look at a few of the big ways you can make your writing more empathic, and therefore, more effective. If you’re writing a landing page, sales page, or email sequence and you miss this point, you’re going to miss out on a lot of business. It’s rare that someone buys a product, or subscribes to a service purely for the joy of it. Even luxury goods, premium services, and seemingly frivolous expenditures are made to solve a pain point in the customer’s life. Your product or service solves a problem, or salves a pain. It’s up to you to figure out what that pain is, remind your prospects of that pain point, and help them realize it’s solvable...with the help of your offering. And you can do this guided by empathy. Empathy gets dismissed in an age of hard-edged aggressive business rhetoric that favors the confident, the bold, and the brash. But empathy is important - it’s a core element of humanity, and for marketers, it also serves a business purpose. It’s about walking a mile in your prospect’s shoes, and truly, deeply imagining their frustration with the problems in their life. This may sound overly dramatic. But think about all the incredibly small things that irk you, annoy you, frustrate you, or simply eat up too much of your valuable time. Swiffer solved a problem for homemakers everywhere - the time, hassle, and mess of mopping kitchen floors. With all the easy cleaning tools we have now, it’s hard to imagine dragging a heavy mop across your kitchen and wringing out the dirt in your sink. But for decades, women endured the drudgery. And then Swiffer came along, identified that pain point, and revolutionized home floor cleaning. So don’t worry that this doesn’t apply to low-price point products. Even if you think your product speaks for itself, or is a luxury product that doesn’t solve any problems...think again. Think about why your customer clicks "buy". Is it because they’re the only one in their circle of friends who is still driving an old car, and they feel left out every time they pull up to the school drop-off lane? Is it because everyone else in management has an expensive watch and they want to feel qualified for a promotion? Once you’ve identified the pain points your product solves, agitate them a bit in your writing. If that sounds a bit harsh, consider this: Would you be more likely to buy a new Swiffer if you thought your mop worked just fine? If you were ok with the status quo, then you’d continue spending hours every Saturday, locked in your kitchen sloshing dirty water all over the floor. Agitating the pain point reminds people that their problems are real, and opens their minds to exploring other options. It also makes your readers feel validated - which is incredibly powerful. For five years I commuted from Fairfax, Virginia to Crystal City, Arlington on a route that included a chunk of I-495, and most of I-395. If you know those roads, you’re already feeling the pain. It was rough. Every. Single. Day. Even if there weren’t any incidents, the jammed lanes moved at a crawl. But any fender bender or stall - even if it was on the shoulder, would make things one hundred times worse. But you know what helped take the edge off? Hearing my route mentioned on the traffic report. Simply hearing the reporter say the 395 was extra painful that day made me feel justified in my suffering. Everyone likes to feel seen, heard, and justified in their complaints. When you agitate pain in your copy, you’re actually making your reader feel seen and heard. You’re validating their pain - the feeling that all is not ok, and that they do deserve something better. That validation builds their trust in you as an advisor. “They get me” runs through your reader’s mind. Building that trust with your reader, before ever introducing your product, is priceless. When we have a teacher, mentor, or friend in life who sees our potential - the man or woman we could become - we’re lucky indeed. Having a cheerleader is a gift. Whether it’s that teacher who knew you could get into college, the mentor who assured you that you could get the manager position, or the friend who said you were a great catch and it was his loss anyway… when someone believes in you, it can make a world of difference. You can be that person for your readers. You can be the one who sees their potential. To grow, to transform, to be better than they are today. So many of us want those things, but have limiting beliefs that makes our goals seem impossible. Be your reader’s cheerleader. And show them the possibilities - invite them to actually visualize themselves in a new and upgraded life - one where they stand up straight and proud - successful in the very thing that, up until now, has held them back. In copywriting jargon this is called “future pacing”, but really it’s just showing your reader the amazing life they could have - in fact that they can have - if they're willing to open their mind and change behaviors. There’s a subtle art to this. It’s not about painting a vision of rainbows and butterflies. That’s unrealistic, and your readers will pick up on that immediately. Instead, remind them that you know where they’re coming from. You know where they’re at right now. How far away these goals are, and the seeming barriers between where they are, and where they’d love to be. Once you’ve established trust by validating their current pain, and showing them what could be, it’s up to you to show the path of getting there. When you finally get to talking about your product or service offering - that thing that can take your reader from pain to success - don’t switch into sales mode. Keep writing as if you were talking with a friend over coffee. Not like a business coffee meeting, but the kind of date that starts with hugs and involves a lot of laughter - maybe even some tears, before ending with more hugs, and an inside joke or two. Keep your style conversational. It’s so hard to do in writing… we naturally want to shift into Professional Writing gear and use fancy words and proper punctuation. But guess what, friends? Professional text doesn’t make anyone feel anything except bored. So use short, simple words. And don’t worry too much about grammar. Yes, it’s ok to use contractions. And you can even start sentences with conjunctions. “It is more fun to talk with someone who doesn't use long, difficult words but rather short, easy words, like 'What about lunch?'" Your reader is a friend who took time out of a busy day to meet with you. Make it worth their time. Offer value up-front and throughout the conversation by sharing free content, information, and inspiration that is helpful whether or not they buy from you. Don’t go on longer than is necessary. We have short attention spans. That doesn’t mean you can’t write long-form sales pages or emails. It does mean that you can’t just publish fluff and expect your readers to stick around. 3. Don’t make it a pitch. Any good conversation is a two-way street. So offer your readers space to reflect on your offer, a way to ask you questions and offer feedback, and whenever possible, LISTEN to what they’re saying. Whenever you make a sale or sign up a new client, ask your reader to take a survey. Find out what made them decide to buy. Even better, get survey responses from readers who DON’T buy from you. Go further and read online reviews on other similar services. Read what questions people are asking Google, what queries they’re posting in online forums…. Keep seeking out problems so that you can solve them. Remember: everyone likes to buy, but no one likes being sold. Keep using empathy to relate to your readers in an honest, transparent way. Keep offering value, and your prospects will be not just willing, but excited to buy from you. Guiding your reader through this journey side-by-side as equal partners on a path to new mindset and widening possibilities - this is the basis of great conversion copywriting. The beautiful thing is that this kind of writing is a gift to your reader whether they spend a single dime with you or not. You’ve given them the gift of empathy. The gift of being validated. The gift of new hope. It’s simple. And it works. Next time you’re writing copy, take a step back. Immerse yourself in empathy for your reader first, and watch how the entire experience changes.